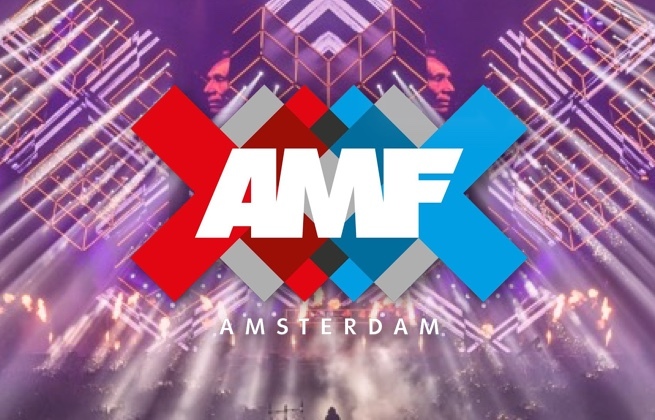 Purchase your ticket for AMF 2019 here! Saturday the 19th of October in Amsterdam. 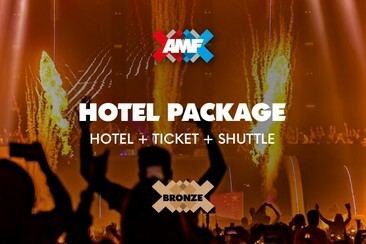 Purchase your AMF Ticket + Shuttle Ticket here! Forget about expensive Ubers, get your Entrance and Shuttle ticket in one go! Located in the middle of a forest and close to the centre of Amsterdam, Camping Vliegenbos is only 15 minutes walk away from the ferryboat that brings you to the centre of Amsterdam, or 20 meters walk to the bus stop near the campsite. Accommodation ranges from tents, campervans or caravans to camping hotels and cabins. Guests have access to a nice restaurant, a camping shop, laundromat, and modern sanitary facilities. Cabins are perfect for camping with a difference. Additionally, the clustered arrangement makes it ideal to rent the huts as a group and includes two bunks, a table, four stools, and a hob. Walk from De Vlugtlaan metro station and 4 km from the landmark Anne Frank House. From here, you can get to the center of Amsterdam or Schiphol Airport in 15 to 20 minutes. The 2-star hostel has dormitories with 6, 8 or 10 beds. Every dormitory has its own theme and is decorated accordingly. It also has a fully equipped kitchen and three lounges free to use for everybody. 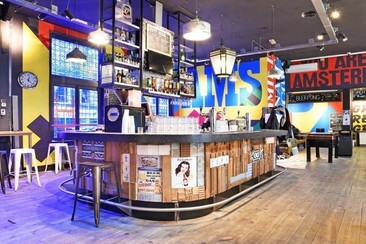 Hans Brinker Hostel Amsterdam is located in the city centre of Amsterdam and only a 2-minute walk from Leidseplein. 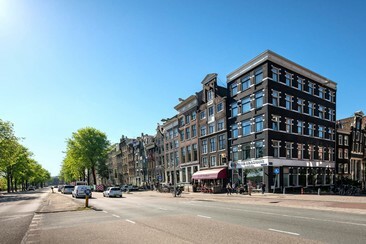 Tram stop Prinsengracht is 450 metres away and offers links to Central Station and the Museum District. Vondelpark is an 8-minute walk away. The hostel can also help provide guests with tickets to many activities, such as boat tours, and bike rental. Hans Brinker Hostel Amsterdam offers a choice of private rooms and shared dormitories for individuals, backpackers and groups. Each room has a private bathroom and lockers for personal belongings. Free Wi-Fi is provided throughout. 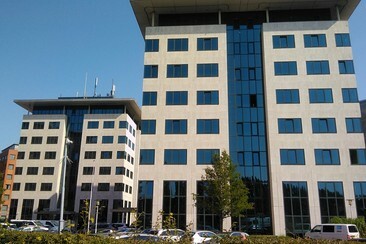 XO Hotels Park West opened in 2012 and is located in a former office building. 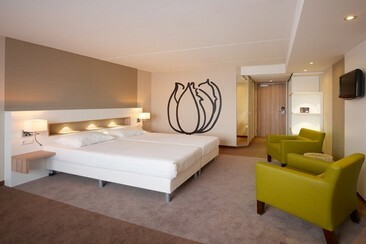 The 8-storey hotel with its stylish interior is one of the most modern hotels in Amsterdam West. 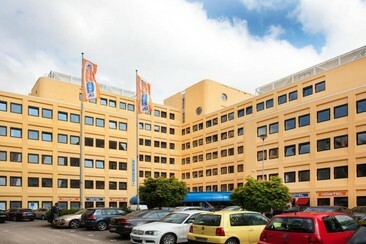 This 4-star hotel is situated near the metro and train station Sloterdijk and has good connections to downtown. Whether you have a business meeting or want to visit the many museums, festivals or events, we have something for everyone. Moreover, you are only twenty minutes away from the center. The hotel offers 257 non-smoking rooms spread over 8 floors. In the morning you can enjoy an extensive breakfast buffet and in the evening the a la carte dinner. In your room, you can rest in our comfortable beds and enjoy a delicious cup of Nespresso. There's private parking on-site. 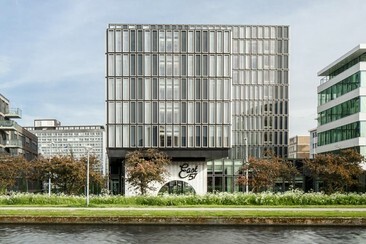 Leonardo Hotel Amsterdam City Center is centrally located in a quiet residential area between the lively Leidse Square and the beautiful green space of the Vondelpark. The hotel is easily accessible from all the main transportation hubs and serves as the perfect starting point to visit major attractions such as Rijksmuseum, Van Gogh Museum, the City Center and the beautiful canals. 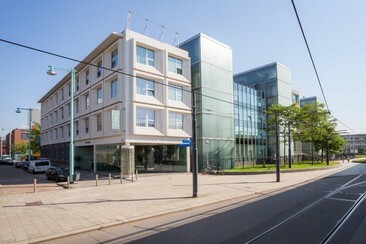 Business guests can take advantage of the excellent connections to Amsterdam RAI Exhibition Center. The hotel offers 102 comfortable rooms with free Wi-Fi, a breakfast restaurant, a bar and a bicycle rental. 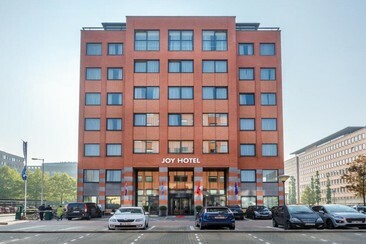 Joy Hotel is located in the district of Zuidoost, an ideal place for those interested in shopping and sightseeing. It is 2.4 km from Johan Cruijff Arena, 9 km from Amsterdam RAI. The property is also 10 km away from Heineken Experience. Local points of interest like Dutch National Opera & Ballet and Royal Theater Carré are reachable within 10 km and 10 km, respectively. Museum of Bags and Purses Hendrikje is 10 km from the hotel, while Rembrandtplein is 11 km away. 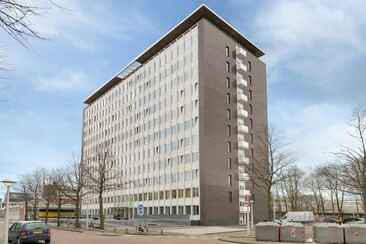 The nearest airport is Schiphol Airport, 21 km from the property. The rooms of Joy Hotel are decorated in a modern and cosy style and count with the best services. All of them have a private bathroom with hairdryer and amenities, air conditioning, safe box and TV. 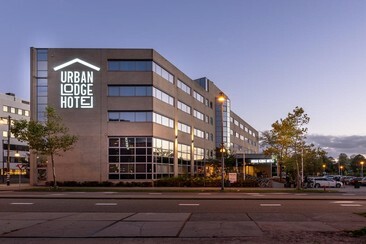 Urban Lodge Hotel is situated in the Westpoort district in Amsterdam, 3.5 km from Anne Frank House. 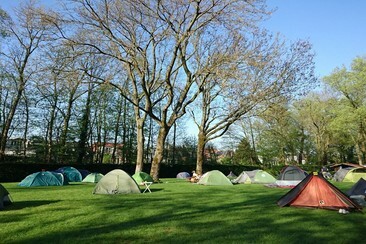 Vondelpark is 3.7 km from the hotel, while Leidseplein is 4.1 km from the property. The nearest airport is Schiphol Airport, 10 km from Urban Lodge Hotel. The hotel also offers bike hire. Guests can enjoy the on-site bar. Every room at this hotel comes with a TV, air-conditioned, kettle and private bathroom with free toiletries and a hairdryer. Certain units feature a seating area to relax in after a busy day. 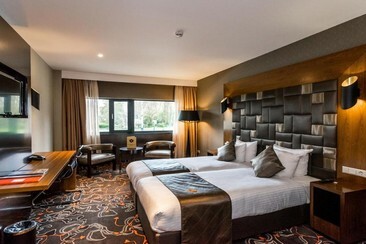 Urban Lodge Hotel features free WiFi throughout the property. The Room Mate Aitana Hotel occupies a spectacular building constructed in 2013 with a glass facade of straight cut shapes at different levels and upon a marina for sport boats with 60 moorings. 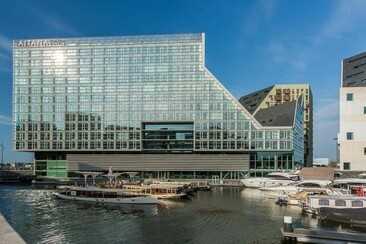 It is located on the artificial island in the IJ River in Amsterdam. The acclaimed interior designer Tomas Alia fuses materials and forms on earth, toasted and brown tones, combined with colourful detail and a cutting-edge lighting, creating exquisite and cosmopolitan environments into this hotel. 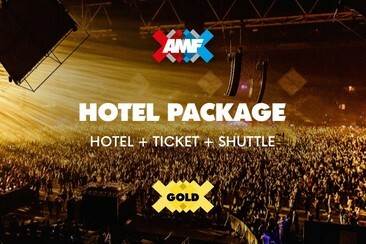 All 284 guest rooms feature views of Amsterdam through large windows and complimentary toiletries are provided. Guests can enjoy dinner or a drink in the restaurant and lounge bar as well as having access to the fitness centre. Services such as babysitting, bicycle and car rental can be arranged at the hotel concierge. Amsterdam Central Station is just 800 metres away while the Dam Square is within 1.7 kilometres making it a central location within Amsterdam. 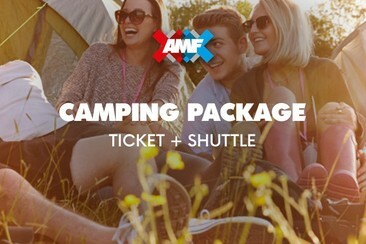 A shuttle transfer from festival to Amsterdam central station.